On April 29, 2018, as Reanna Nelson played in a Hillsborough Soccer Club game, her grandfather, Mr. Romano Borgobello, had a medical emergency while watching from the sidelines. When he became unresponsive, Hillsborough residents Kris Cauda and Alex Wnorowski both registered nurses, along with Marc DeMaio, who is about to be sworn in as a police officer in Old Bridge, performed CPR. The Hillsborough Township Police soon arrived with an AED defibrillator device and continued CPR with assistance from the good Samaritans in anticipation of EMS’ arrival. The prolonged manual CPR saved Mr. Borgobello’s life. Romano Borgobello is truly grateful to the responders. To show his appreciation, he’s generously donating an AED defibrillator device to Hillsborough Township. This imperative life-saving equipment will be available at future events. Hopefully, this will increase odds of survival, should an emergency arise. The Hillsborough Township Committee commends Kris Cauda, Alex Wnorowski and Marc DeMaio for their acts of heroism and extends their sincere appreciation for responding immediately to this medical emergency. 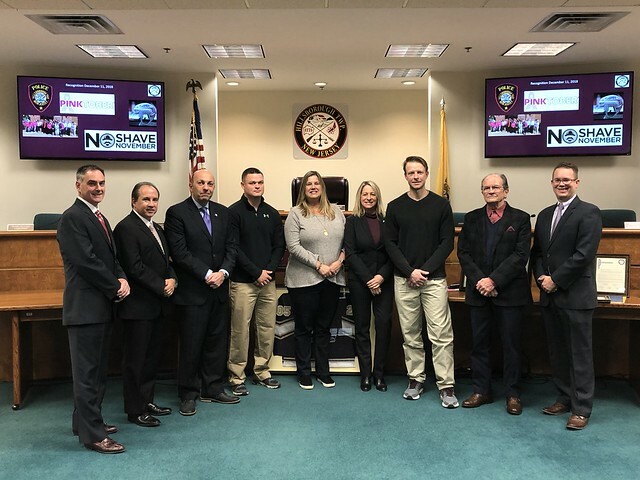 The Hillsborough Township Committee further extends our sincere appreciation to Romano Borgobello for the generous donation of an AED Defibrillator Device that will allow swift and immediate life-sustaining measures, should the need arise. L to R: Committeeman Shawn Lipani, Committeeman Carl Suracci, Committeeman Frank DelCore, Alex Wnorowski, Kris Cauda, Mayor Gloria McCauley, Marc DeMaio, Romano Borgobello, Deputy Mayor Doug Tomson.